Plenty out there in the media about the results of the Big 4 Aussie Banks, CBA, NAB , Westpac and ANZ. As this is an education blog I always like to see how the global fund managers (with a strong Aussie equities team) view our banks as they do not tend to have that home country bias and their views are refreshing. So here are a few videos from the team at Franklin Templeton. Not plugging their product just like their educational material and market insights. 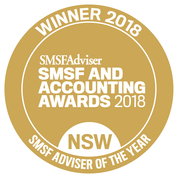 As the Australian banking sector continues to experience challenges in response to market and regulatory drivers, we thought it would be timely to catch up with Alastair Hunter, Lead Analyst and Investment Manager at Balanced Equity Management (owned by Franklin Templeton Investments) for his latest perspectives on the Australian banking sector. Here Alastair talks us through the key factors he identifies as driving bank share prices from capital requirements through to dividend sustainability, and the Franklin Templeton team’s preferred overweights in the sector. In this video, Alastair discusses the direct and indirect impacts on the sector from the Brexit referendum and some of the potential ramifications for bank funding costs from changing dynamics in international markets. He also considers some of the factors impacting on the sector from new Fintech entrants and how the banks may adopt new technologies to drive innovation for their benefit. Disclaimer: Franklin Templeton Investments Australia Limited (ABN 87 006 972 247) (Australian Financial Services Licence Holder No. 225328) issues this publication for information purposes only and not investment or financial product advice. It expresses no views as to the suitability of the services or other matters described herein to the individual circumstances, objectives, financial situation, or needs of any recipient. You should assess whether the information is appropriate for you and consider obtaining independent taxation, legal, financial or other professional advice before making an investment decision. 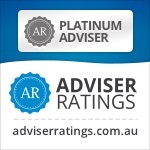 A Product Disclosure Statement (PDS) for any Franklin Templeton funds is available from Franklin Templeton at Level 19, 101 Collins Street, Melbourne, Victoria, 3000 or www.franklintempleton.com.au or by calling 1800 673 776. The PDS should be considered before making an investment decision.